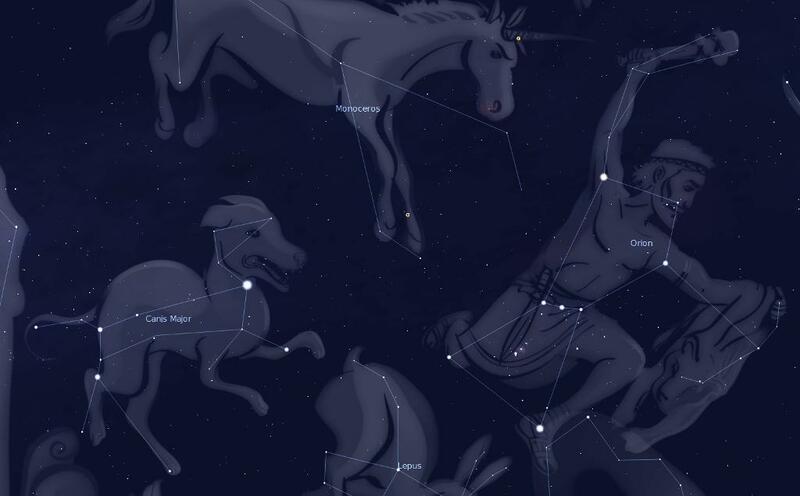 Geminid Meteor Shower is here again! The best time to catch it at its peak is during the nights or early mornings of 14 - 15 December 2011 for Asia. Meteors can streak across any part of the sky during those nights but one should have a higher chance of seeing them if you look at the part of the sky where the constellation Gemini is located. Unfortunately, there is bright Moon near Gemini which will make the fainter streaks hard if not impossible to see. But the good news is that Geminds brighter fireballs may still be spotted as proven in this video created by John Chumack from the United States just yesterday! The best time to observe is around 2.00 am in the early morning when Gemini will be high up in the sky. Location wise, choose a dark place with a good unobstructed view of the North East portion of the sky. Changi Beach is such one good location. Try to position yourself inside the shadow of a big tree while facing towards the sea. It will be good idea to bring along some reclining chairs or sleeping bags as you may be looking up at the sky for long periods of time. You may want to put on long pants, a sweater and wear socks as the temperature may drop as the night progresses and the cold sea wind blowing towards you. This attire will also minimise any potential mosquito bites. Of course the sky must be relatively clear too to see any meteor showers. You do not need to wait for the whole sky to be completely clear before you can see meteors. If you are lucky, the fireballs may just streak pass a certain clear patch of the sky. Here is one beautiful video of last year's Geminids created by YouTuber Mockmoon. Do check out his other stunning time-lapse videos too at his youtube channel. (1) Go observe with a friend or a group of friends. It is a great time to catch up with them while enjoying the sea breeze and the cool weather. (2) Listen to music or audio books while you look up at the sky. (3) Bring a small binocular and scan the the clear patches of the sky for stars. If you are lucky, a bright meteor might just flash past in the binocular view! The binocular can be use for plane watching as Changi Beach is near the airport. (4) If you can bring a small telescope along and intend to stay overnight, try to observe Venus which is visible in the west just after sunset, Jupiter high up in the east and Mars and Saturn rising up from the east after midnight! (5) Have some nice supper like the lasi lemak at the 24 hr hawker center near the bus interchange. December is one of the wettest month here so it most people may not feel too optimistic about seeing the Geminds. But even if you miss this peak meteor shower period due to bad weather, it is still possible to see them the next few days at at less rate. So keep checking the weather for the next few days and get ready to go out and catch some meteors if the night sky turns clear. 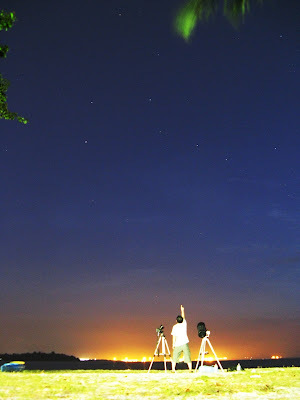 Last December, my friends and I were lucky in catching a few meteors on a very clear night at Changi Beach. I brought my telescope along and was more interested taking advantage of the rare clear skies to see the star clusters then actually observing the meteors! A group of family and friends join us shortly after midnight and I was glad they manage to catch some meteors before they left. Me and my astro buddy stayed up all the way till sunrise. 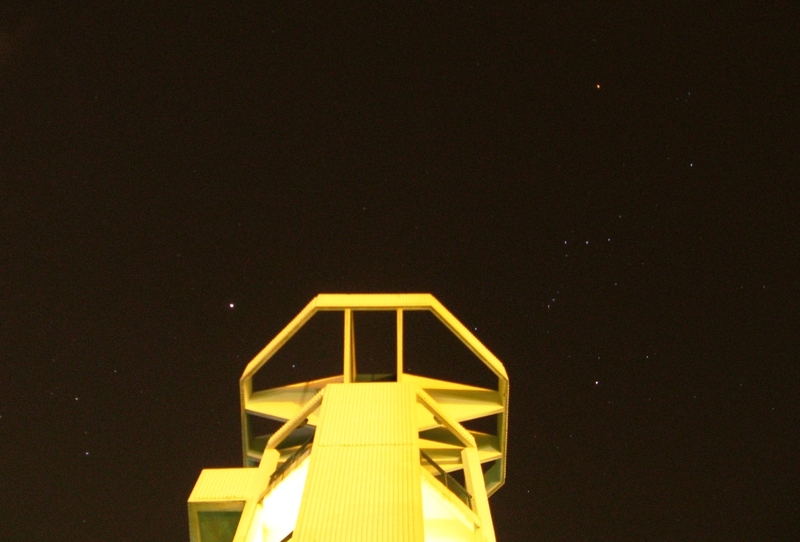 Here are some of the single-shot non-stacked photos I took that night using a cheapo compact camera on a mini tripod. Apologies for my lousy post-processing skills. May try to touch them up for my future talks and presentations if I have the time. 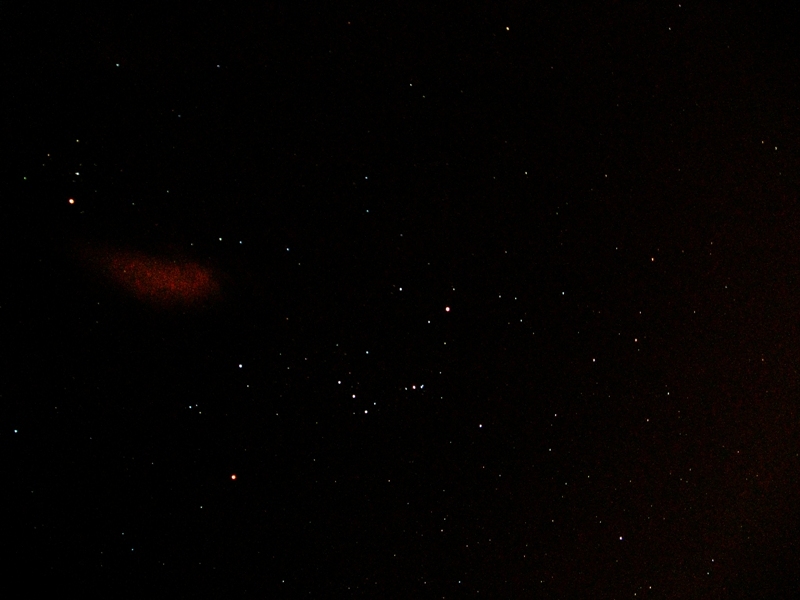 Orion Constellation ( 12 Dec 2010 23:24:17). Those astronomy newcomers who have attended the total lunar eclipse event last Saturday at Toa Payoh Central should have no problem identifying this constellation in this photo. The ghostly red patch is a cloud. Venus and Saturn ( 13 Dec 2010 06:12:35 ). 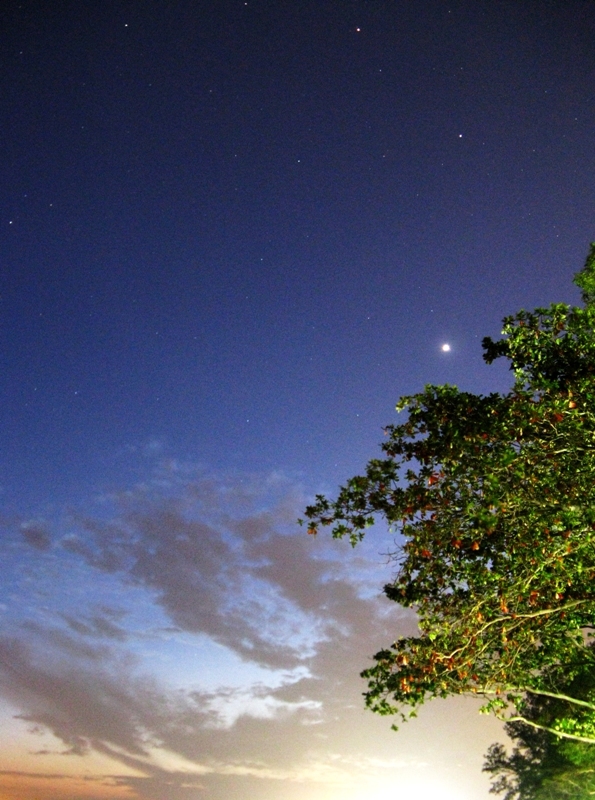 Venus is so bright and that's why it is also known as the Morning Star. Human Lightning Rod ( 13 Dec 2010 06:15:26 ). The Big Dipper! Making use of the camera timer, I have to make a 10 second dash to the telescope and freeze in that pose for another 15 seconds. 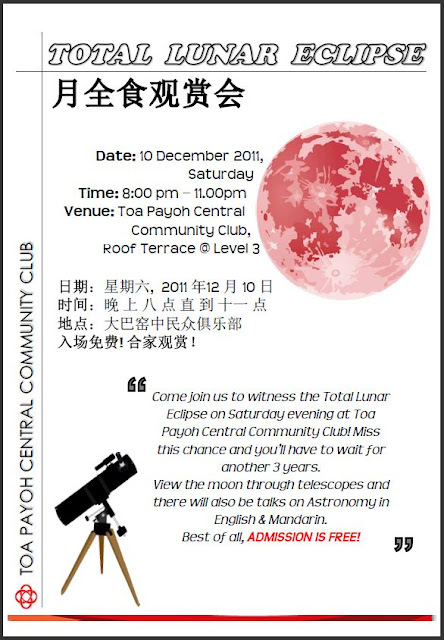 There is a Total Lunar Eclipse happening on 10th December 2011 Saturday evening from about 7.33pm to 1.30am Singapore Time (+8 UT). The most exciting part of the Eclipse to observe is when the partial eclipse turns total and the Moon turns coppery red! HOW TO OBSERVE THE ECLIPSE? To observe this eclipse, just looks towards East for the rising Moon. You do not need to go a very dark place or very high to observe the eclipse. But such environment can enhance the mood of enjoying the eclipse and other stars and planets visible on the same night. It is safe to observe with just our naked eyes alone, i.e. no special visual equipment is required. But with a telescope or binocular or high-zoom camera/camcorder lens, you can also enjoy the close up look of the eclipse and the surface features of the Moon during the eclipse. WHAT IS SO SPECIAL ABOUT THIS ECLIPSE? (1) It is a total lunar eclipse, not partial which happens more frequently. The next total lunar eclipse is in 2014. (2) A lunar eclipse does not always occur at a suitable observing-friendly time like a weekend evening. (3) During a lunar eclipse, not all locations in the world can view it from start to finish. Singapore is one such location for this upcoming eclipse. WHERE ARE THE OPEN-TO-PUBLIC EVENTS TO OBSERVE THE ECLIPSE WITH TELESCOPES FOR FREE? I am personally involved in the team helping out at Toa Payoh Central CC. If you have queries for the other 2 events, you may approach the respective organisers as provided in the links above. Date: 10th December 2011, Saturday. Admission: Free. Open to Public. This event is strictly non-profit and organised purely out of goodwill to let the public enjoy astronomical wonders at no charge. There will be no commercial activities involved, no touting of any commerical services or astronomical products, no compulsory forms to fill up. Our volunteers are not paid and the telescopes and related equipment depolyed are from their own private collection. As such, we would like to advise visitors not to touch the telescopes without their permission. We would also like to advise visitors not to consume any food and beverage in the vicinity of such equipment to prevent potential accidental damage to them. The lights there will be switched off to minimise stray lights intefering with the telescope observation session and also for big screen/LCD projections during the public talks and live eclipse streaming sessions. Depending on the length of the telescope queues, you may use your phone camera to take a photo of the eclipse through the telescope or we may assign a queue specifically for that. There is free wireless@sg wifi reception at the observation area which you can also make use of to update your social media accounts or upload photos during the eclipse. Feel free to bring your family and friends along and enjoy a casual and cozy eclipse observation session at the CC! For the latest updates, you may visit or follow us at http://www.twitter.com/astrosg . Sorry for not being able to blog as much as I would like to for the past couple of months. Way too busy with real life and enjoying myself under clear skies and meeting fabulous fellow amateur astronomers. 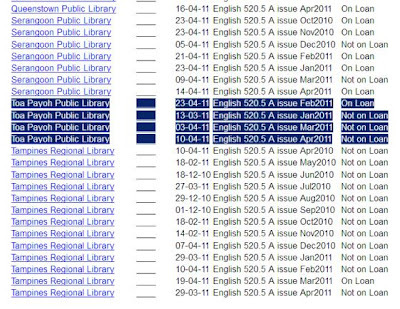 I think I have enough material to blog until the rest of the year - snatching great astro bargains, well-received sidewalk sessions, checking out new potential observation spots in Singapore, solo train adventures to Malaysia, catching meteor showers at Changi Beach, week-long observations under stunning Milky Way skies in northern Johor, visiting the Observatory at the Science centre for the first time, meeting Dr Fred Watson, observing through a large dobsonian telescope under Sedili skies ...etc. So stay tuned!! 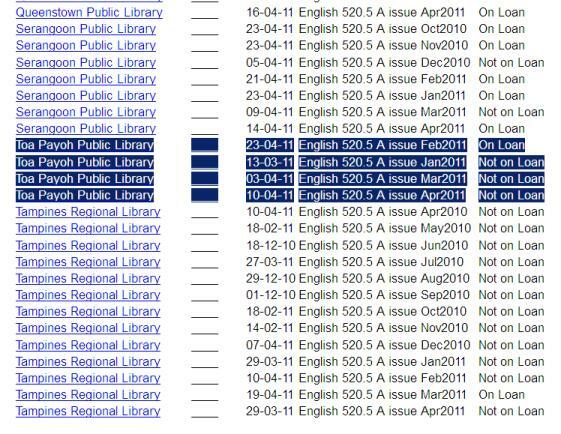 Coming back to topic, you may wonder what made me so motivated to update my blog now? How about seeing fully grown adults who are experienced visual amateur astronomers who owns some decent telescopes behaving like kids in a candy store? 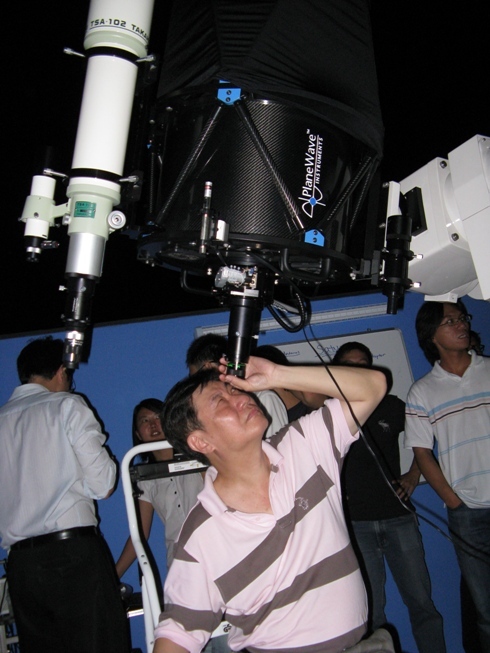 A couple of weeks ago, my astro buddy James asked me if I am interested to attend a private first light party at the spanking new rooftop observatory at National University of Singapore (NUS) equiped with a brand new 17-inch telescope. 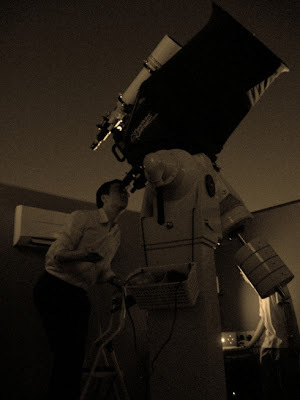 He had me at NUS rooftop observatory! Brand new 17 incher? Wow. I don't care if William and Kate will be visiting me that night but there is no way I am going to miss such a rare opportunity. YESSS! PLLLLEASE! James contacted the event organiser who was gracious to extend the invitation to me and a couple more of James's friends. The event organiser was Prof Chan. Just a quick note about Prof Chan. There are some professors who have airs. But not Prof Chan. I remember clearly our first encounter. We were going to Punggai (Johor, Malaysia) for a weekend stargazing trip last year together with a big group of students. The meet-up place was at NUS. I took a cab there since I was lugging a 8-inch telescope, a telescope mount and tripod and a bag stuffed with clothings and astro accessories. When I arrived, I stepped out of the cab and was slowly unloading my stuff on the ground when I saw someone rushing towards me from a tour bus some distance away. Yupe, that's Prof Chan. He helped me carried some of my stuff to the bus. I have another astro buddy who stays near my place who was a student of Prof Chan and also had many nice things to say about him. 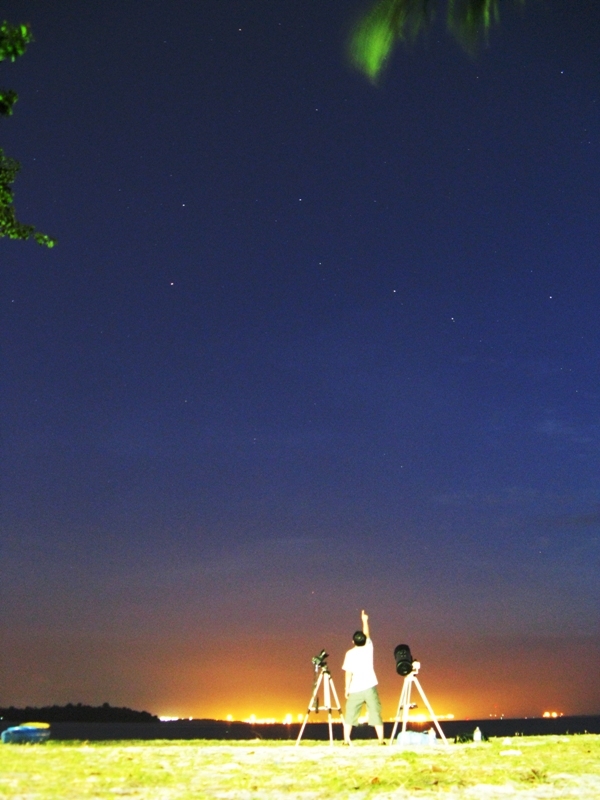 The first light star party for the new observatory was conducted on Wednesday 17th August 2011. On that evening, I was happy that Gavin, another astro buddy of mine, will be attending the event too. More about Gavin when I blog about our recent Persied Meteor shower overnight trip at Changi Beach (Chinese Hungry Ghost Month to add :)). Gavin and myself joked that there will a huge cyclone hitting NUS soon. There is a well known phenonmenon/joke in the astro circle that whenever the someone buys a brand new telescope and try to use it for the very first time (aka first light), bad weather will befall upon that poor soul. The intensity of the bad weather will be proportionate to the size of the primary mirror or lens (aka aperture) of the new telescope. Imagine a 17-incher. I met up with Carole while waiting for James to pick us up and drive us to NUS. Carole is well known for organising numerous stargazing trips to Malaysia over many years. Check out her blog and email her if you or your organisation/school is interested to stargaze there. It was nice to catch up with Carole again since our last trip to Desaru Damai Beach Resort (Johor, Malaysia) with a group of educators and students. Upon my enquiry, she was very generous to share with me some great advice about custom clearance of stargazing equipment base on her many years of encounters with custom officers. James arrived as the sky turned dark and miraculously, the sky was clear! We were all very excited on our way to the new observatory. When we arrived at the carpark, we met Alfred. I am glad to finally meet him in person for the first time. I have heard many wonderful reviews of his solar astro gear and hopefully can spend some quality observing time with him and James in our next trip to Malaysia. We took a lift halfway up the building and took the stairs for the remaining half. On our way up the stairs, I saw Prof Chan and the invited guests having dinner in a room. As usual, the ever-cordial Prof Chan invited us to have our dinner. As I already had my early dinner around 5 pm (masala thosai at Jurong East foodcourt), after saying a quick hello to him, I proceeded quickly upstairs to the roof to check out the star attraction. Only a few more steps on the stairway to astro heaven! Upon reaching the rooftop, I saw the flat retractable observatory rooftop design instead of the typical dome. Excited murmurings could be heard streaming out from the observatory. You can watch the high definition version here. 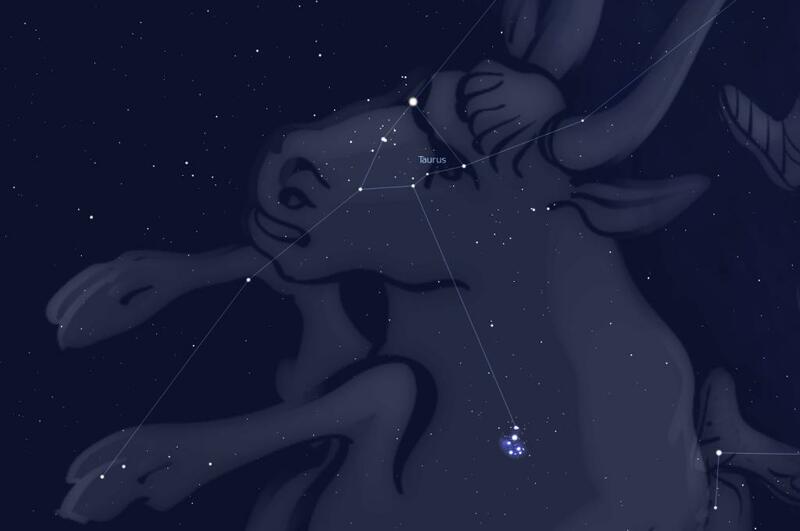 The bright red star shown in the video is Antares in the constellation of Scorpius. For the astrophotography pros out there, sorry for the poor quality and out of focus star trails in the astrophoto in the video. I was using my 4-year old point-and-shoot compact camera on a small fexible tripod. As it was quite crowded in the room, it was quite a challenge to do long exposure photography without someone walking in front of the camera. More importantly, my main focus was to observe through the scopes and not to waste too much precious observing time on photography and videography. 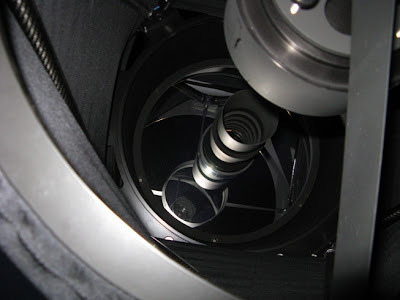 The main telescope is a PlaneWave Instruments CDK 17 (http://www.planewave.com/index.php?page=1&id0=0&id=1). Mounted on it is a Takahashi TSA 102 (http://www.takahashi-europe.com/en/TSA-102.php). I took my first look through 17-incher when it was pointed at the globular cluster known as Omega Cenaturi. The object was off center in the eyepiece but still I could see the parts of it which was fully resolved into small little stars. The next object was Saturn. Contrast and detail wise, it was not the best I have seen so far. But this is a totally unfair comparison. My best view of Saturn was when it was closer to earth, observed at almost zenith position, in very rare clear skies in Singapore. But Saturn that night at NUS was quite low at about 25 degrees above the horizon, was way pass its opposition in April this year and the seeing of the sky was just average. I suspect the telescope collimation was a little bit off. But the good thing about this design is that one can easily collimate the telescope by just turning the 4 collimation knobs which are located within easy reach in the front. Unlike a typical Newtonian telescope, one has to collimate both the primary and the secondary mirror. Detail official collimation instructions for this telescope in pdf can be found here. In terms of brightness, Saturn was very bright through the telescope and its brighter moons shining like little stars, thanks to it big aperture primary mirror collecting lots of light. This brightness is hard to beat in a typical non-observatory class telescope. That Saturn view gave us a tantalising preview of its true capabilities under better viewing conditions. In the next few years, Saturns ring will open up wider and wider. The Lord of the Rings will definitely put up one good show after another for this and many other telescopes in the world. Jupiter opposition will occur on 29th October 2011, just two more months to go. The next time it will be that near to Earth will be in 2022. 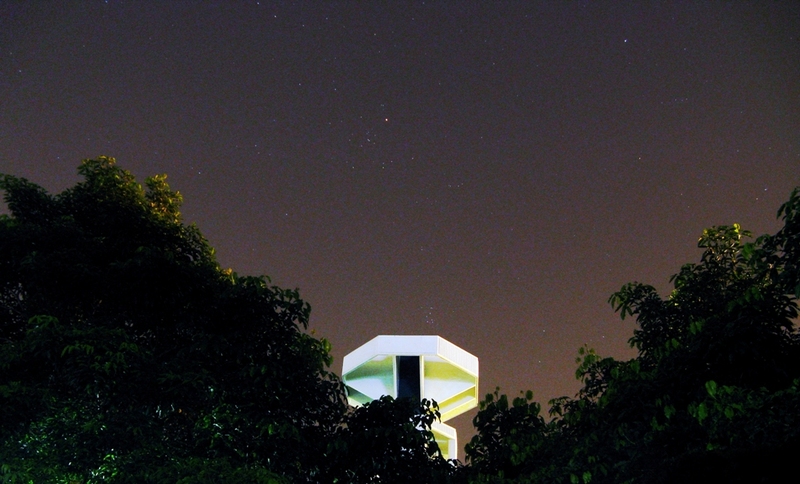 Lucky are NUS students and lecturers who have access to this observatory during that period. I hope by that time, they have already observed Jupiter through smaller telescopes. Then, they will truly appreciate what they see in this monster telescope and realise how fortunate they are to have access to such an observatory in their own school. Next, we saw the NGC6231 star cluster. A nice tight group of stars against a dark sky. The Tak 102 refractor gave a nice wide field of view of this object with pinpoint sharp stars. The longer focal length CDK17 showed a higher magnified view with a darker background sky. As we did not have access to a 90 degree diagonal at that time, we were looking straight through the telescopes and finders. For objects higher up in the sky, it will create some discomfort in the neck while viewing. But looking at the bright side (pun intended), without an additional mirror or prism that will be added to the light path by a diagonal, the views were as bright as they can be. The step ladder in the observatory did offer some relief as we could use it a observing chair and sit on it or hold on to it to balance ourselves while looking up. We then saw the double double in the constellation of Lyra. Needless to say, the four stars split very nicely. It was fun to see and hear these telescopes slewing from one object to another. The slewing noise (music to astronomers?) was surprisingly low for such a huge setup. I guess it's a geek thing. I remember during one of the private star party I had attended, someone told me other than seeing the green laser in action for the first time, seeing an big telescope slewing automatically for the first time is almost more fun than seeing the objects through it. The telescopes were remotely controlled via TheSky planetarium program via a Showa ATLASTAR Telescope Controller. The big red emergency button looks really cool. Later in the evening, I asked if I could try to focus and move the telescope using the hand controllers. The students in-charge were kind enough to give me the go ahead. The hand controller unit that moves the telescope has a nice magnetic back that allows one to easily stick and remove it anywhere on the main metal pillar. Very nice touch. This prevents it from accidentally dropping on the floor or its wire getting entangled with other wires. There are four buttons that control the direction of movement and adjustable knob that controls the movement speed. The movement was very smooth with no perceivable backlash (delay from moment of pressing the button to actual movement). The up and down buttons on the hand controller held near to the base of the telescope controls the focusing of the telescope. Pressing a button and making something move doesn't sound like big deal. But for me, that was really exciting. Because this telescope setup is the most expensive and exquiste piece of machinery I have ever controlled in my life. Moreover, the excitement was enhanced by the anticipation of the view of the object moving into the field of view as it may be the best view of that object I have seen so far. Afterall, I have not looked through a telescope bigger than a 17 inch at that point in time. The magnificent and bright globular cluster know as M22 is a fantastic object to look at. In average seeing skies in Singapore through a 8" reflector telescope, one could most probably just see a fuzzy cotton ball like object. Through this CDK17, using a 14mm Televue Radian eyepiece, M22 was clearly resolved into a ball of individual bright stars! My best view of M22 so far! A couple of hours into the evening since we started observing, the Ring Nebula (M57) seems to be a good target as it rose higher up into the sky. This object looks like faint fuzzy Polo sweet in my 8 inch telescope under average seeing Singapore skies. When the telescope stopped slewing toward this object, I looked through the Televue Nagler 7mm eyepiece and pressed the buttons on the controller, trying to manoeuvre this object into view. 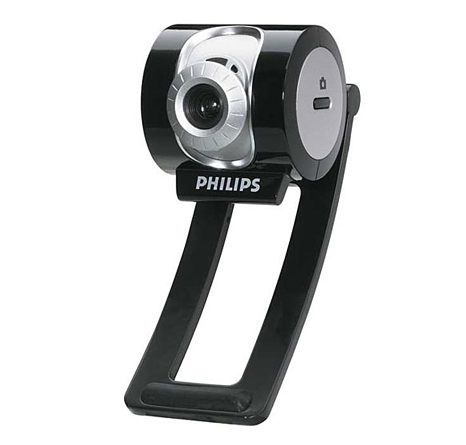 With this eyepiece, the magnification is a high 420x and very small field of view of only 6 arc minutes. I have never tried looking at this object with such a high magnfication, let alone on such a big telescope. Suddenly, I saw a bright half halo at the edge of the view and immediately release my pressure on the button. I must be moving in the wrong direction. But wait. That was puzzling. This is a premium eyepiece on a well-baffled big telescope. I should not be seeing such bright light scatterings. 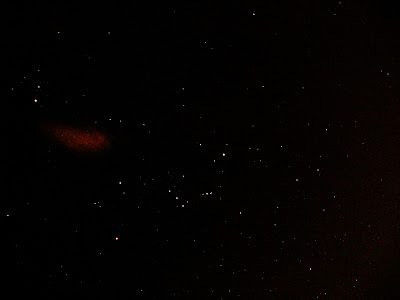 Moreover, there isn't a very bright star very near to the Ring Nebula. Also, the reason could not be that the automatic mechanical slewing accuracy is that way off. This is because, the view in the Tak 102 (which is aligned with the CDK17) is pointing directly at the location of the object, right between the 2 bright stars in Lyra. I pressed my thumb on the same button to continue swinging the bright half halo to the center of the view. Then the bright "half halo" became a ring. *THE* Ring. I yelled, "I've found it!!". That was the most beautiful Ring Nebula I ever saw. Big, bright, high contrast, direct vision. The details in the smoky ring structures were something I have not seen before. Wow. 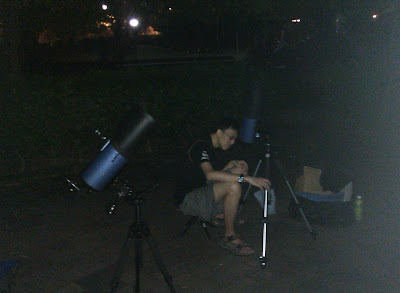 During those precious seconds I was observing it, I totally forgotten I was observing under Singapore skies. Those who were still around in the observatory took their turn to enjoy this beautiful deep sky object. After James and Gavin saw it, I could tell from their expressions and comments that they were equally amazed, if not more. Later, Gavin had a idea to do a Edwin Hubble pose (see photo below) beside the CDK17. After a few tries, this is my best shot with some photoshop post editing. We should bring a smoking pipe next time for a better effect. Throughout the evening, though there was a slight haze blanketing the sky, not one single cloud blocked our view of the sky. But all good things must come to an end. The hosts were already very generous by extending the "partying" time way beyond the official closing time at 9.15 pm. I joked with Gavin earlier in the evening that we should hide in some restroom and then secretly crawl back into the observatory to continue our observation when everyone has left after midnight. We left at about 10 pm and the clear sky was still holding up. In fact, even when James reached home, the sky was still clear enough for him to observe the Ring Nebula with his 8 inch telescope while his memory of the view in the CDK17 was still fresh. No points for guessing which scope had the much better view. Big observatory-class telescope like this CDK17 is financially out of reach for the majority of amateur astronomers in the world, including me of course. To be able to touch it, control it and see through it , even for just a couple of hours under decent night skies, is truly a great privilege and blessing. I would like to express my heartfelt thanks to Prof Chan and James for the invitation and all the event organisers, students and helpers for making the first light party a great success. I wish the NUS Physics Department all the best in making full use of the observatory and producing great physicists for many generations to come! Bought this pocket sky atlas book last year at Borders. Enjoyed its pocketability and usability when observing in the field. This is a good non-battery operated back up in case my phone's battery goes flat and can't use the astro apps. The price is also very affordable. As there was only one copy at Borders at that time, did not thought of buying one more. So I was pleasantly surprised to see this book for sale again last week at a book fair at SAFRA Mount Faber while meeting a friend there for a drink. It was sold at SGD $7.90 each. They condition are very slightly less than mint if you choose to look very closely at the smallest potential wrinkles at the cover pages. But the inside pages look brand new. It cost USD $7.95 before shipping at Amazon. And the promotion is buy 2 get 1 free. Needless to say, I took up the offer. I intend to leave one copy at a semi-permanent observing place in Malaysia, one for use in Singapore and the remaining ones as gift to friends who can appreciate its value. The book fair is till end of May. After my purchase there last week, there are still about 5 - 6 copies left. 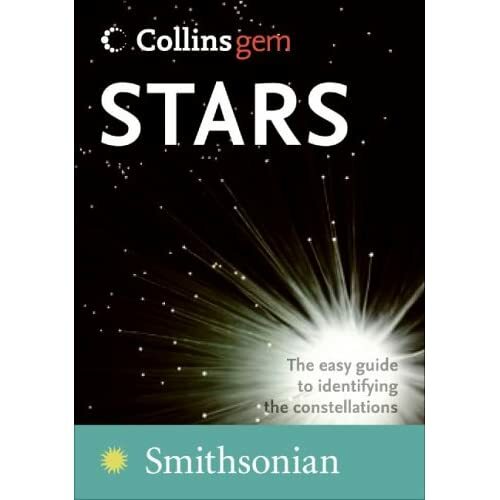 This is good book to learn about the 88 constellations and Messier objects for the newcomer and intermediate astronomers too. Just like there are portable telescopes that get used more often than huge ones, don't be surprised you may end up using this pocket sky atlas more frequently than other bulkier (but more detailed) ones in the long run. 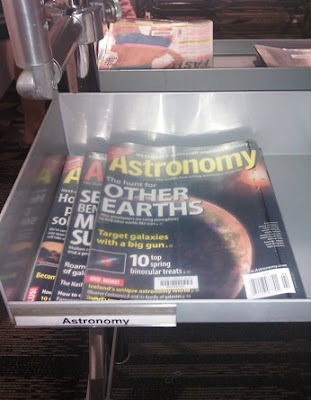 Speaking of Star Atlases, there is nice article titled "Choose a star atlas that's right for you" by Michael E. Bakich in the June 2011 issue of Astronomy. "Oh na na, What's my name? Oh na na, What's my name?" Got to get this wicked Rihanna song out of my head. 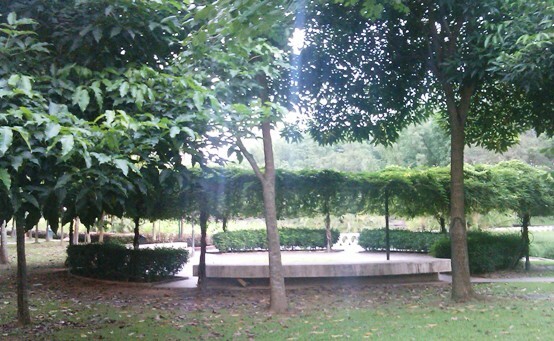 Irritated by my limited vocabulary to describe that circular observation spot in Toa Payoh Town Park in my previous visit, I decided to find out its official name. This is part of the layout map displayed at the main entrance. If only I can collect 10 cents from every Toa Payoh residents who does not know the official name of that spot, I can raise enough money to build an observatory there in no time. And 10 cents for every Singaporean who thinks the name sounds like a condominium, I can hire a full time research team to man the observatory. Ok. I can't beat this dead horse any harder. To be fair, the words describe the spot accurately. 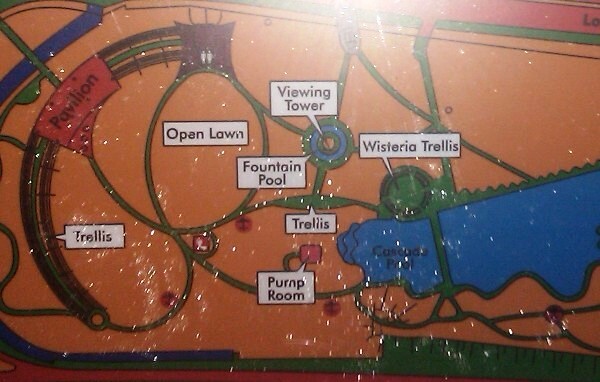 Trellis is a lattice framework to support vines or plants and wisteria is kind of climbing scrub. After days of completely hazy and cloudy skies, some patches of blue skies finally appeared at sunset on 18th January 2011. So I decided to take a chance to observe at Wisteria Trellis for the very first time with a telescope. 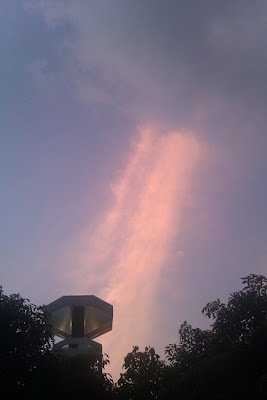 Some interesting cloud formation during sunset. This is my new grab-and-go portable setup - 5 inch maksutov telescope on a SLIK camera tripod with a slow-motion adapter. 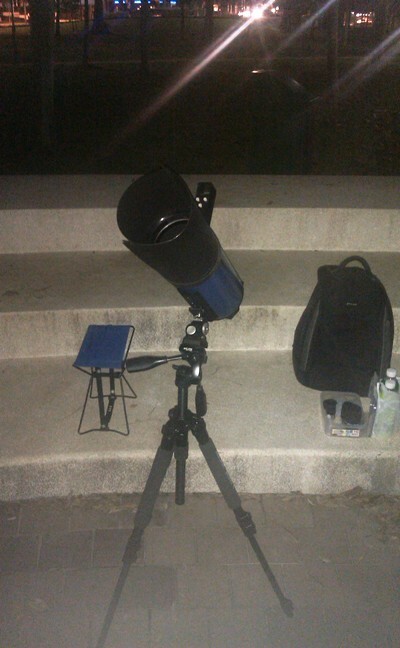 Started observing Jupiter the very moment it was visible against the bluish sky. Nice contrasty cloud bands seen as usual but was immediately reminded how much more wonderful it looked in my 8-inch reflector telescope (Celestron C8). Absence does makes the heart grow fonder. Any type of live view of Jupiter through a small telescope is way better than starring at clouds for a week. 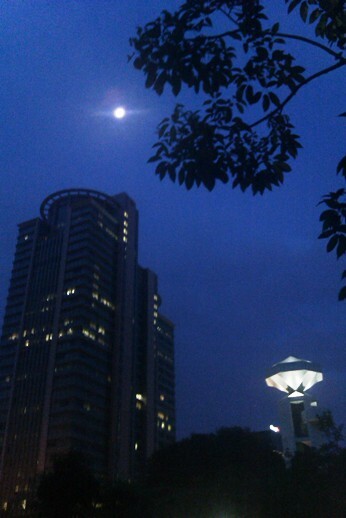 Moon was bright and beautiful as usual. While looking at the moon through the eyepiece, an F-15 fighter jet flew right across it! Woohoo! It look something like the following video I found on youtube but imagine a sleek F-15 silhouette instead of a commercial jet. Manage to observe M41 star cluster in the Canis Major constellation and M42 nebula in Orion when the sky condition improved temporarily. There was gentleman doing some chinese taji-like exercise in the same area. He was curious to look at the moon and liked what he saw. His native Chinese accent is a bit hard to comprehend but I tried to pay more attention to pick up the words in his sentences and did manage to strike a casual conversation with him. He told me he exercise at the area in the evening everday without fail. Sure enough, a couple of months later when I visited the place with my third (!) telescope, he was exercising there again. I really admire his discipline and perserverance. Later in the evening, my astrobuddy ZY brought his telescope along. It is exactly the same telescope as my Skywatch Mak 127. But it is mounted a more steady and heavier duty Manfrotto camera tripod and mount. Out of curiosity, we pointed our telescopes at M41 cluster using the same 32mm focal length and different brand eyepieces and compared views. The field of view in his telescope is slightly bigger. So do not trust the official specifications of your astronomy gear blindly. It is always fun to verify them yourselves in the field. We brought our portable stools along and have a nice chat inbetween observing sessions. My setup is more shaky and take more seconds for the view to settle down because I am the pushing the tripod and mount a little beyond its comfort zone. But I still love the overall portability of the whole setup for nights like this when I think I have a 50% chance of clear enough skies as compared to my C8 plus porta mount setup which needs more encouraging sky conditions to motivate me to bring them out. Moreover, there isn't any nearby shelter at this area. If it suddenly rains, I can definitely grab this whole setup and dash to the nearest shelter provided by the overhead bridge leading to the Toa Payoh bus interchange.